Sorry if I didn't publish anything yesterday but I was very very tired.... Any way today I post the review of the shows of yesterday and the day before.... Are you ready ?? 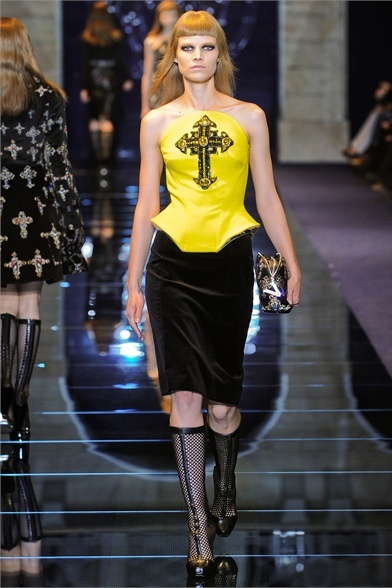 leather clothes and some others that look like steel rolled give to the Versace woman a bionic allure ! good !! Next on the stage is... Blumarine ! Anna Molinari is one of the best in my mind.... A long show for presenting a lot of style ! From the fluo furs to silver dresses... from the leopard-printed fabrics to long black dresses... from mettalic fabrics to rock outfits... all the stlye you want you can wear Blumarine this winter !!! Who has read my old review knows that I don't really like Jill Sander but this time He surprised me !! 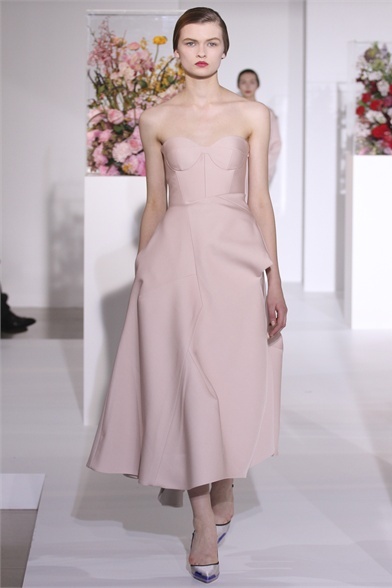 He pesented a very elegant collection... inpired by the first works of Balenciaga (in the 1920...) . The dresses ha s really impressed me ! (positively) An elegance of yesteryear !! The last one for today is Bottega Veneta ! the shows is opened by some black and rigorous dresses ! Glacial and serious woman walck on the catwalk... when i was resigned to an other boring shows... I saw a wonderfull dress and an other and an other !! they seem part of a different shows... but in general i like this show ! now i have to run to the Missoni show !! Bye bye ! !